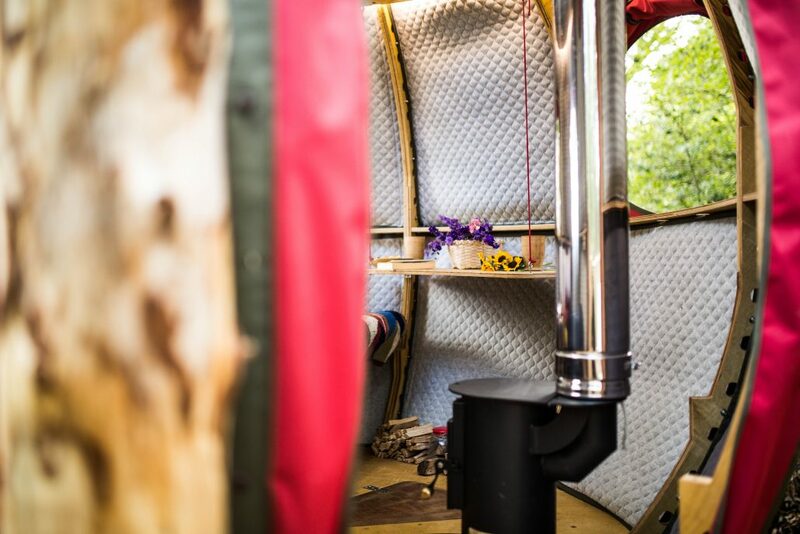 It’s all about wood at Penny and Will Tasker’s idyllic Herefordshire glampsite that offers eco-friendly glamping escapes overlooking the Malvern Hills. 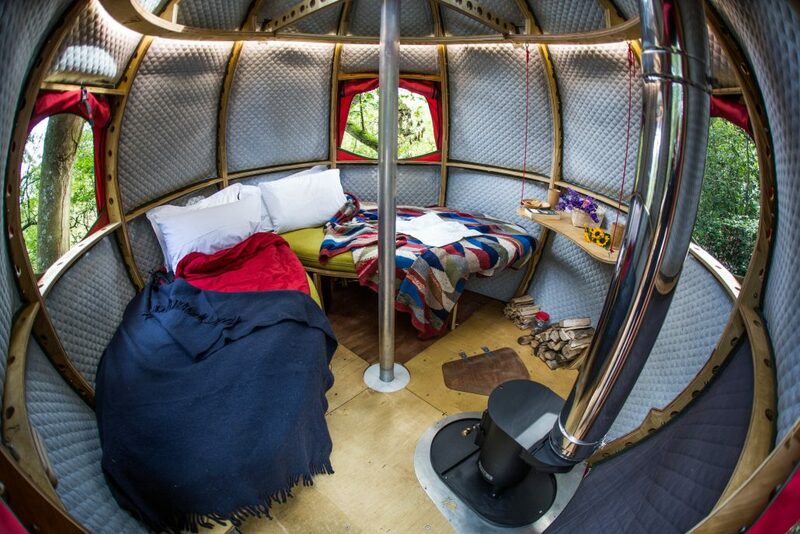 We spoke to the charismatic pair about their first impressions of the Tree Tent, why they love it and what it has brought to their eclectic glampsite. Hear from Penny and Will Tasker, proud owners of Goji the Tree Tent who is suspended high in the woodland of their incredible glamping site, Brook House Woods, overlooking the Malvern Hills in Herefordshire. 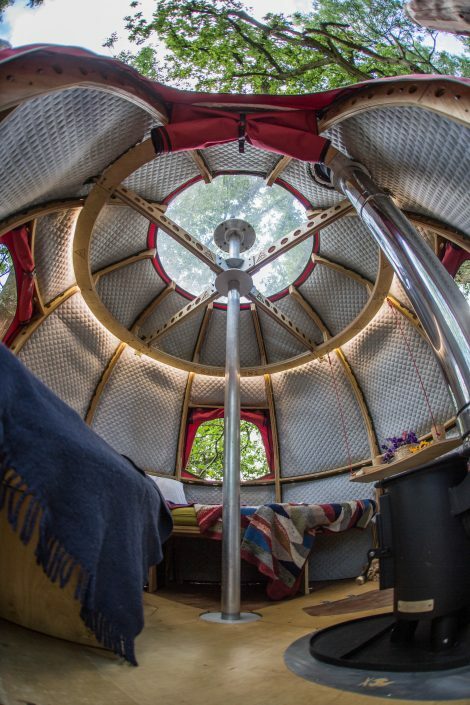 Penny and Will’s site is mainly woodland with some areas of meadow which they’ve continued to develop with a diverse range of areas and habitats which complements their different accommodations. Understanding and their space and making the most of their assets is particularly important to them. 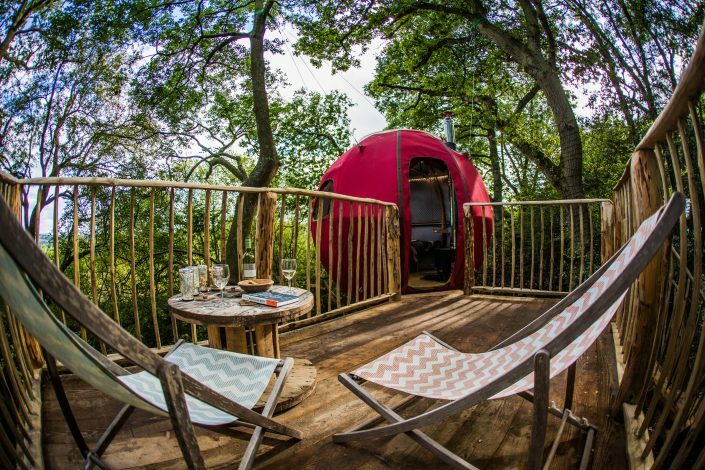 With such a heavily wooded site, the obvious choice was a tree house, particularly given their popularity and high per night prices. However, with less mature woodland they didn’t have the large mature oaks required for large, traditional tree houses. Given this, as well as the density and fragility of the woodland, they chose a Tree Tent as a way to get people high into the tree tops, in a low impact way. 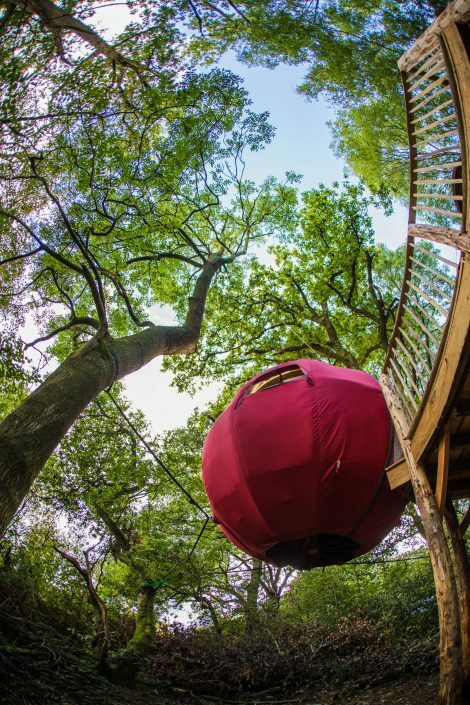 The futuristic, round tree pod suspended high in the canopy, is an unexpected surprise for guests, and allowed them to take advantage of the site’s assets – the views and the beautiful ash and oak woodland – while dodging some of the pit falls of traditional tree houses. 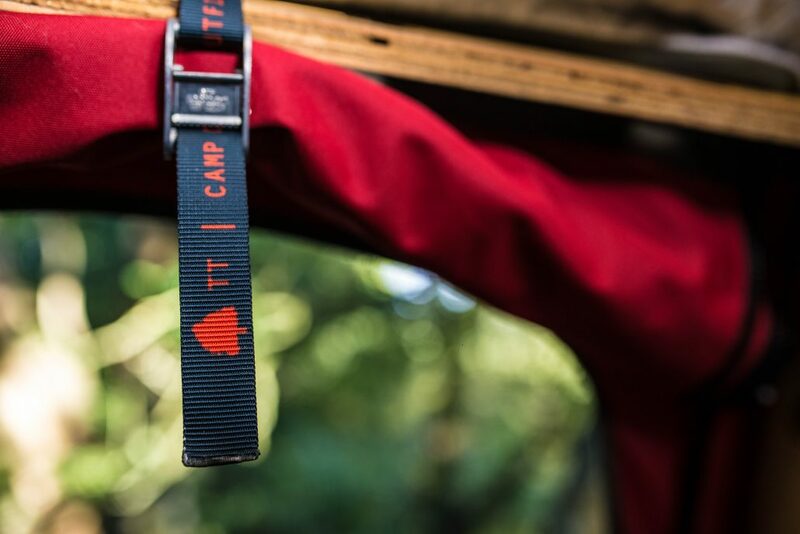 The Tree Tent is so lightweight it can be suspended from younger trees with no impact on them or the surrounding environment. Using natural and sustainable materials in a way that doesn’t harm the environment is very important to the ethos of the site, and a big factor in their decision to install a Tree Tent. Better yet, for Penny and Will, the Tree Tent didn’t require a planning application at all. 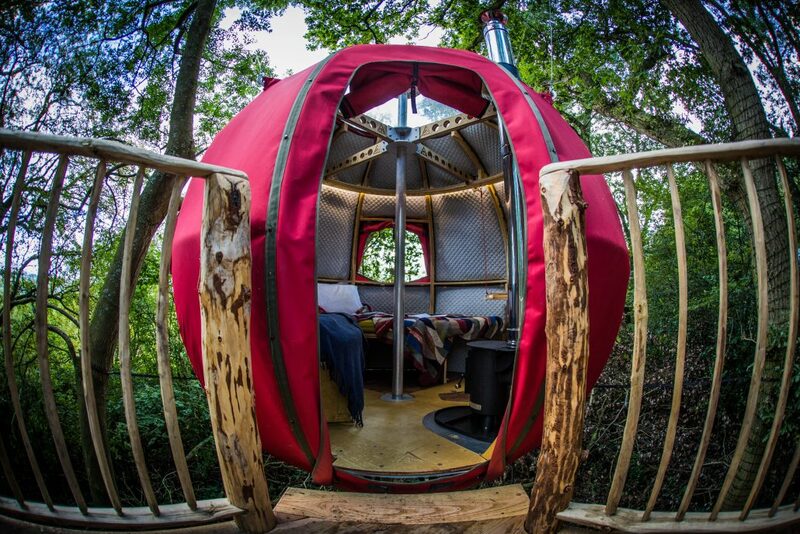 With it being so low-impact all that was required was a land use change application for the glamping site as a whole, which they already had. They did have to get planning permission for their larger tree cabins, however, as they have formalised drainage. For this they offer two pieces of advice: first, submit a pre-application, and second, use someone local who knows and understands the project, area and the planning department process and people! Submitting a pre-application allowed Penny and Will to work closely with the planning office to get their application up to speed and get to know the people at the planning office before the formal submission. As part of this, the planners came to the site where they showed them some of its amazing features, like the rare spotted orchids, that they were really keen to protect. 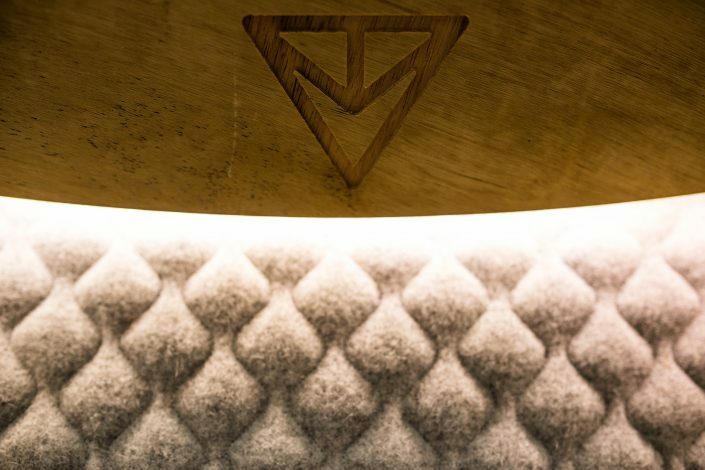 Completing a pre-application also gave them the opportunity to explain how important it was to them to use sustainable, locally sourced materials and local people. Working like this gave everyone the opportunity to understand the project and they were able to take on advice and make amendments to the application before it was submitted. And it worked as they passed with flying colours first time! Secondly, they found a very experienced local architect to complete the drawings. His knowledge of the planning process, the people in the department and the local areas turned out to be invaluable in contributing to their planning application’s success. 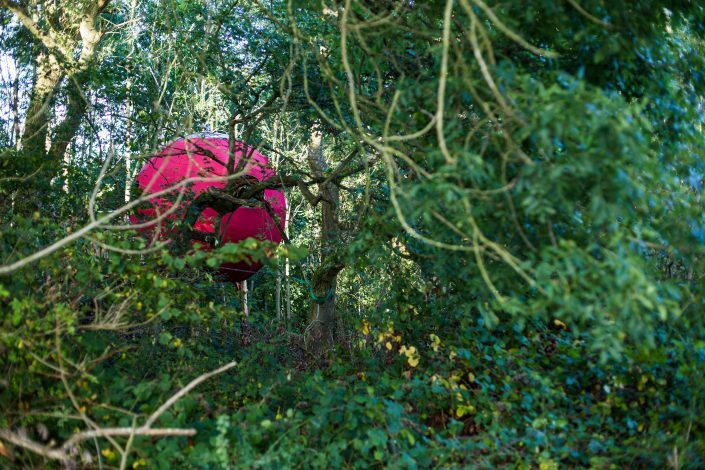 While many people find their new Tree Tent falls under existing planning permissions, this is valuable advice for those who do need to apply. To find out more about Penny and Will’s experience, or to speak about what a Tree Tent could bring to your site, please get in touch with the Tree Tents team.